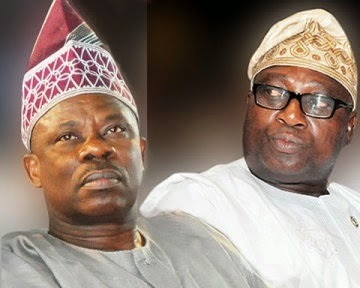 The Ogun State Deputy Governor, Segun Adesegun, on Thursday declared his interest to unseat the incumbent Governor, Ibikunle Amosun, and his defection to the Social Democratic Party, SDP, ahead of 2015 elections. Mr. Adesegun ​defected from the All Progressives Congress, APC. Mr. Adesegun, who recently revealed the unhealthy relationship between him and his boss, Mr. Amosun, declared that what mattered to him now was moving the state forward by leading the people aright. The deputy governor explained that the conflict between him and Mr. Amosun started shortly before their swearing-in ceremony in 2011. He described his decision to contest for the governor of the state as personal. He further revealed that the people have been calling on him to contest but not until he was convinced fit for the job, he had been turning down the request. He clarified that his joining a party different from Mr. Amosun’s did not mean he would not perform his statutory duties as the deputy governor of the state. Mr. Adesegun also disclosed that all the requests he made in a letter to the State House of Assembly on his relationship the governor had not been met. He dismissed the issues raised in his letter as ephemeral, noting that his decision to contest for the governor of the state was based on fundamental issues. He explained that his decision would not have been different even if the requests had been met. While noting that he had not yet been chosen as the standard-bearer of SDP, he assured the people of executing to the letter the manifesto of the party if eventually chosen as the party candidate and won the election.